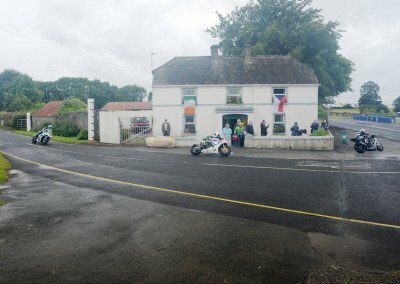 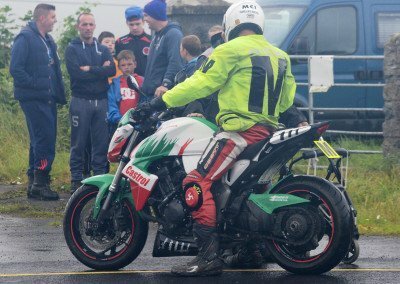 Race of the South, Walderstown, Ireland 2016. 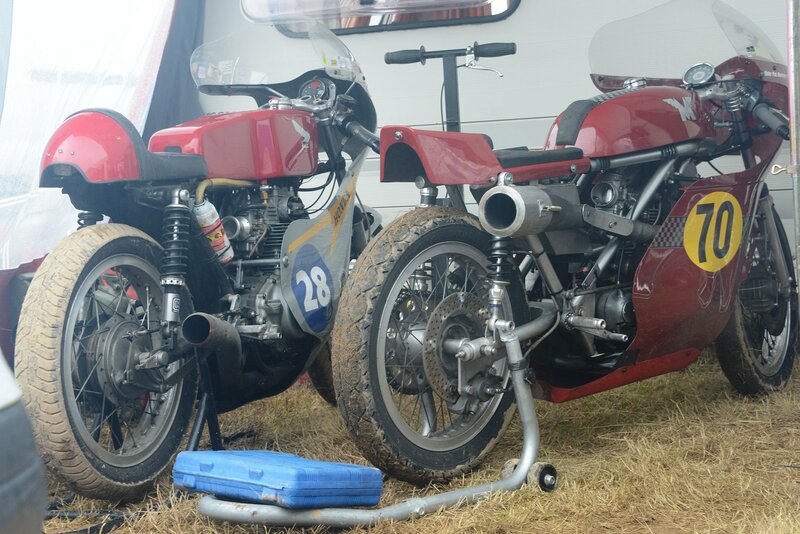 The Race of the South is long established, probably started in the 1970s. 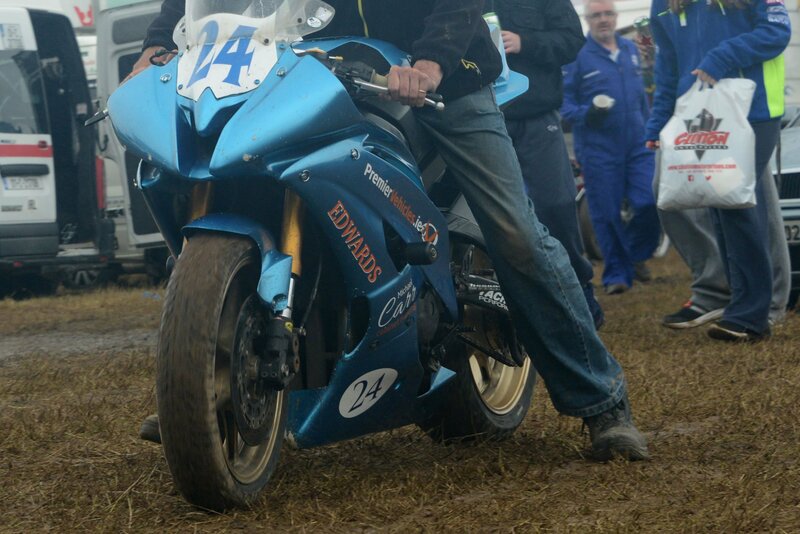 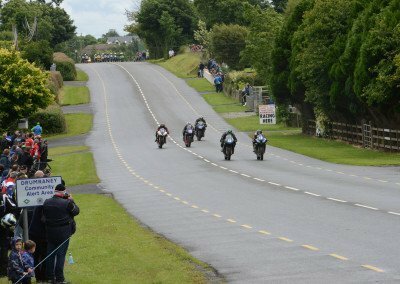 Now held deep in the County Westmeath countryside, the venue is known as Walderstown, a hamlet near Athlone. 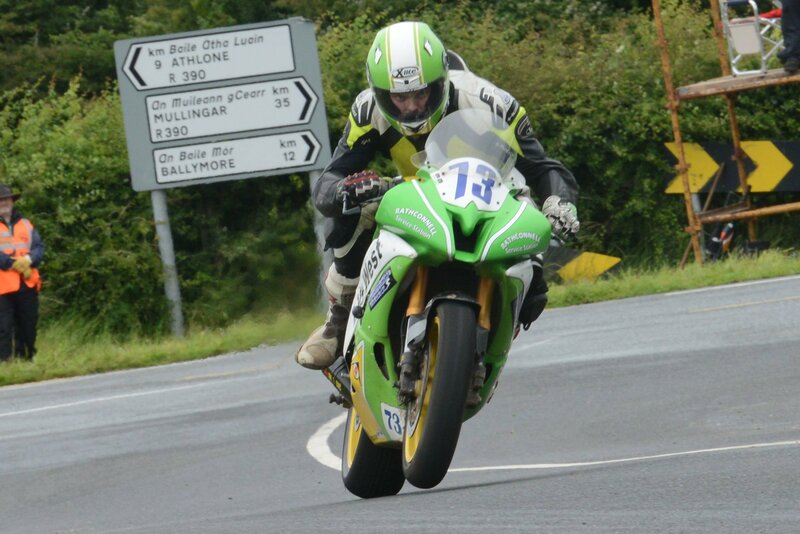 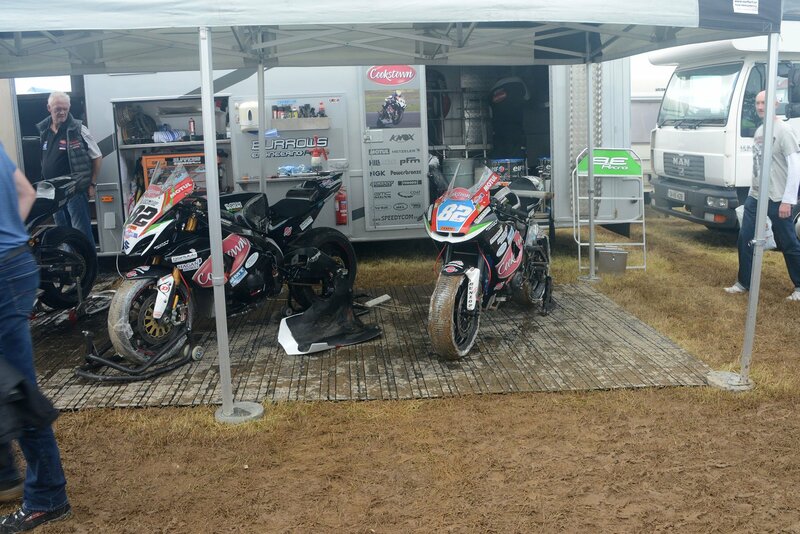 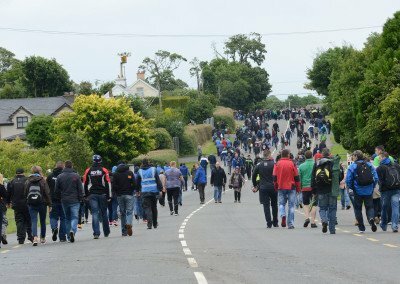 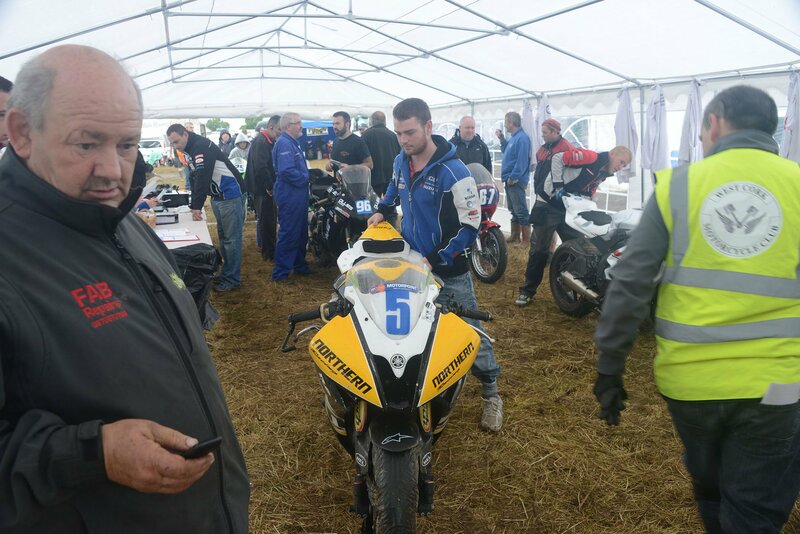 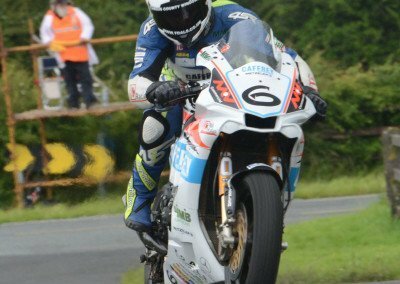 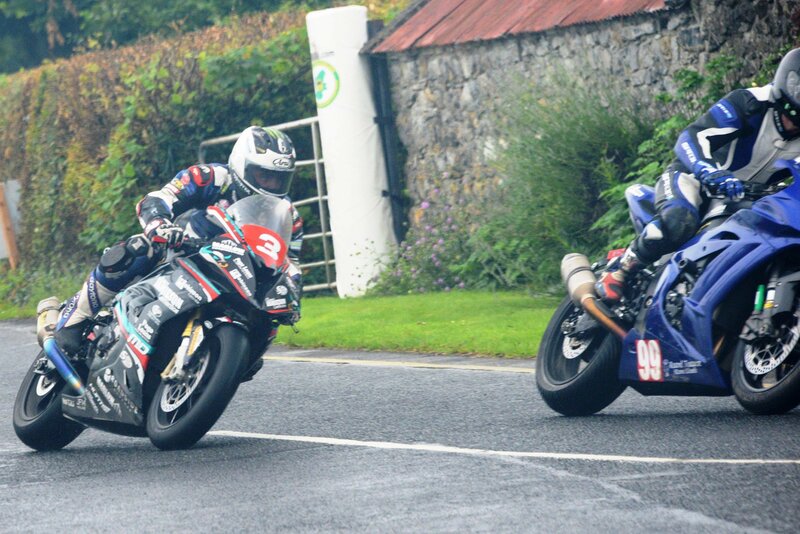 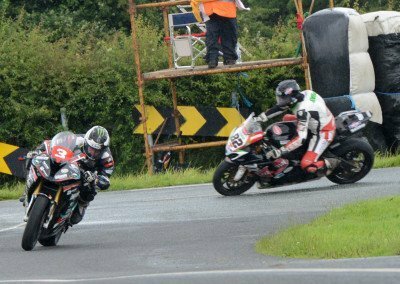 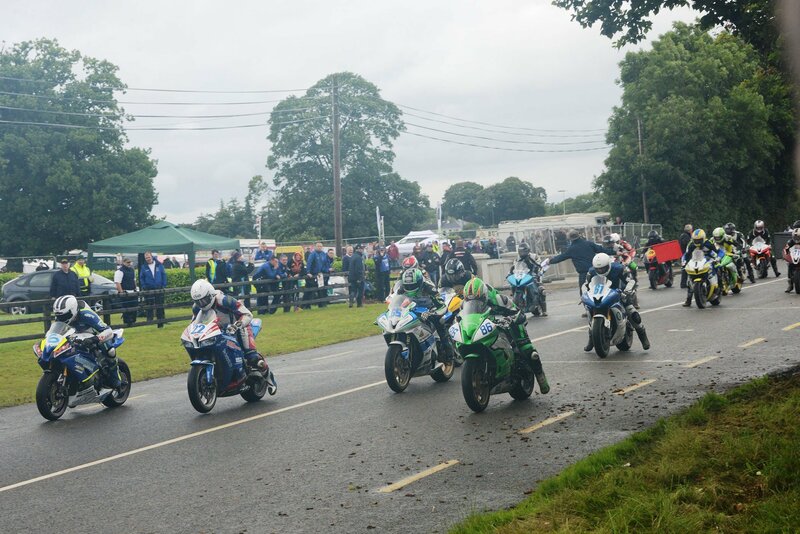 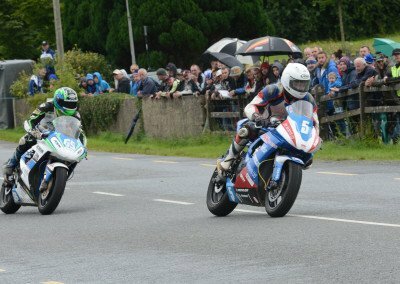 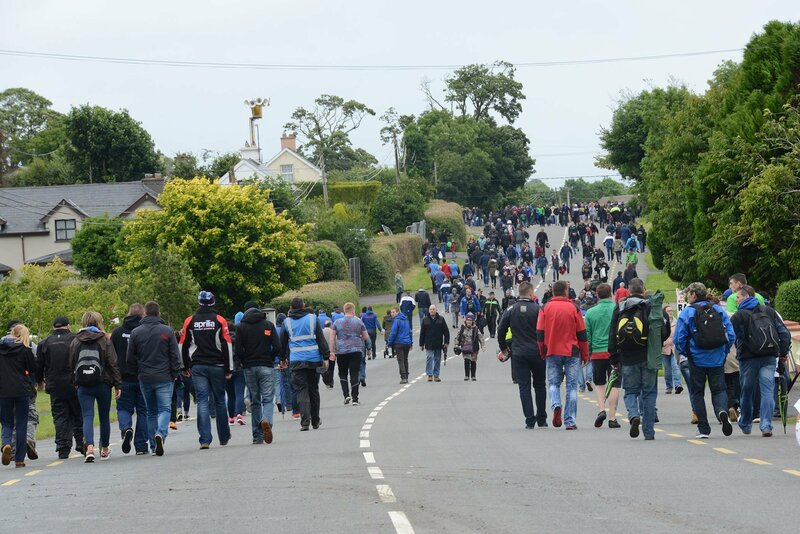 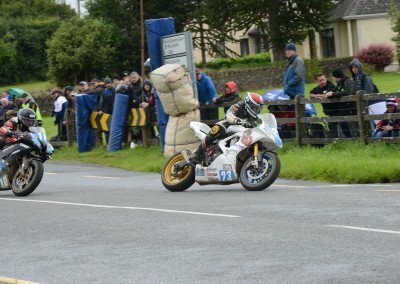 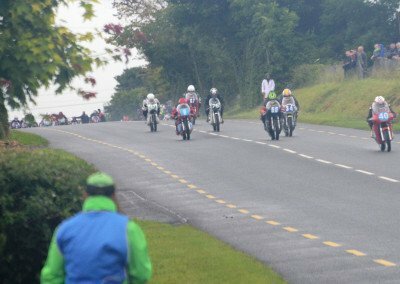 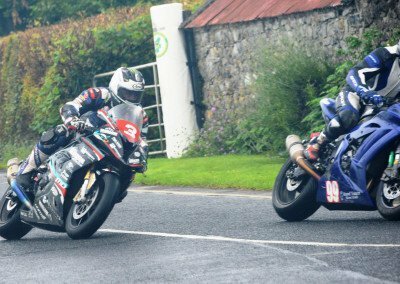 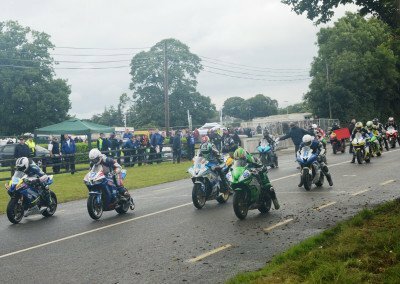 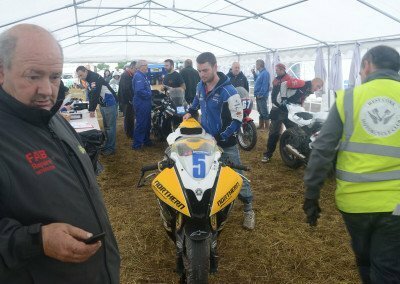 Located about three-quarters of an hour’s journey west of Dublin airport, this would be Round 7 of this year’s Irish Road Racing Championship, which consists of 13 national events and scheduled for July 9-10. 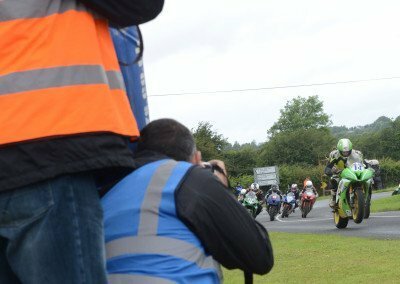 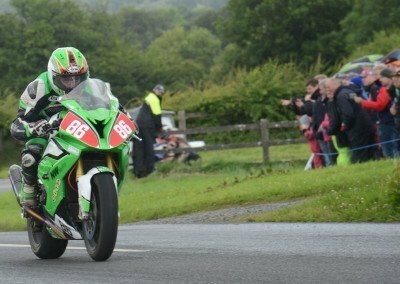 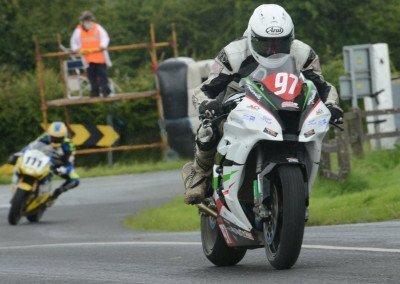 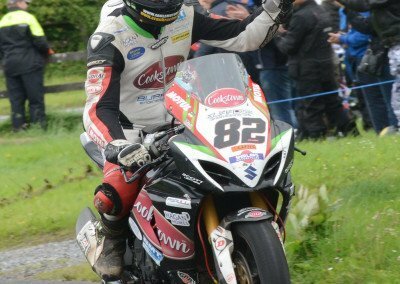 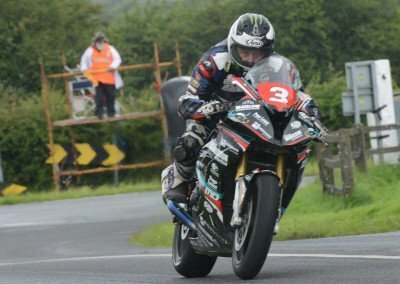 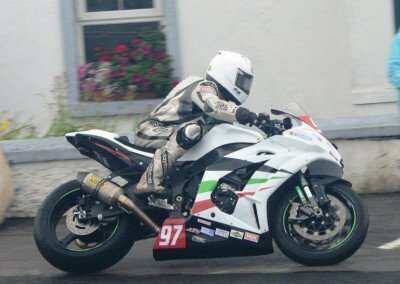 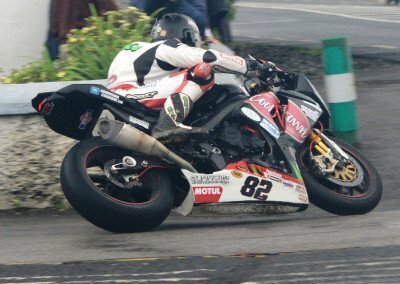 One week later, at the Faugheen road races, Derek Sheilds became the 2016 Irish Superbike Champion. 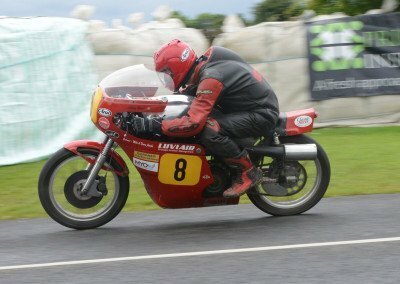 Click on any image to enlarge and view the series. To read the full story click here. 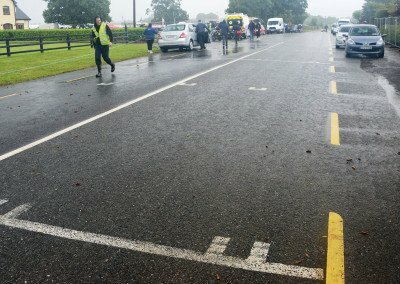 Green field paddocks are pleasant until rain falls. 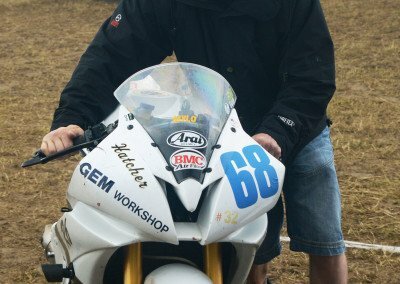 Wrapping tires with cling film is the method used to roll the bikes to the grid. 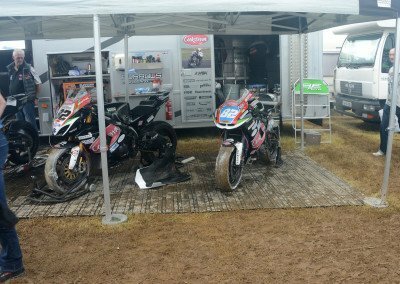 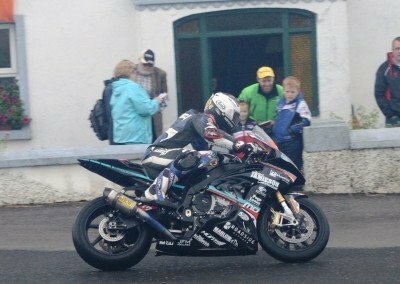 Pragmatically, Michael Dunlop parked away from the central paddock area in the cleaner grounds of a private home across the road. 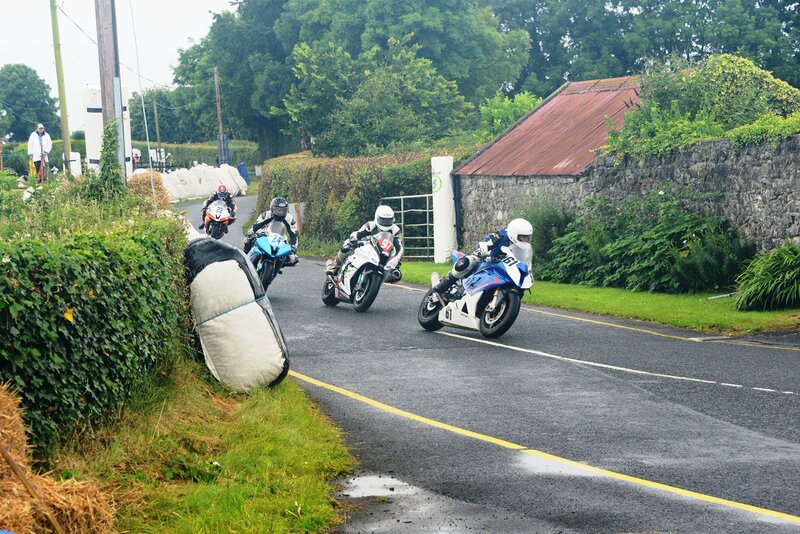 You could easily digest the technical content in a few hours but not the human presence. 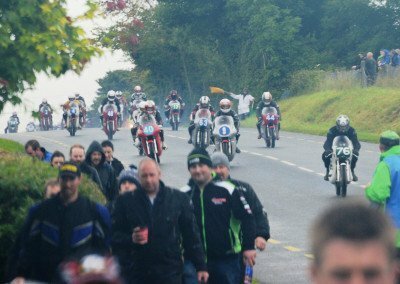 These are people who have a longing to go racing. 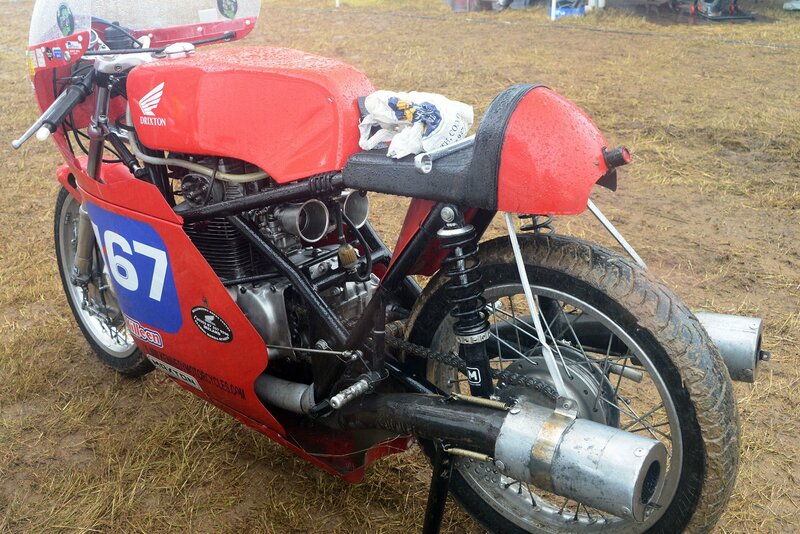 Dum de dum de dum, wonder what goodies in store today—need to wash and wrap these tires before gridding. Classic 250/350 Championship rider Irwin Linton with 350 Honda K4: Under these conditions pushing with two is best. 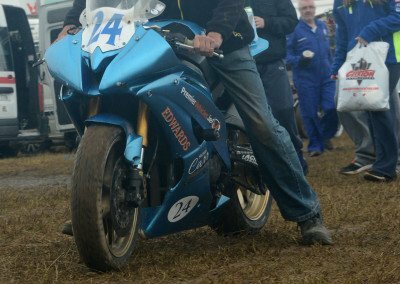 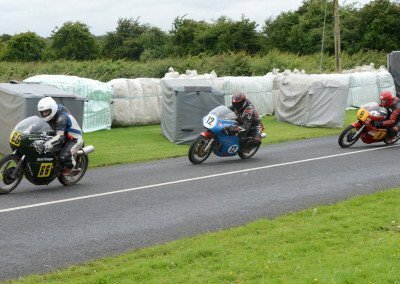 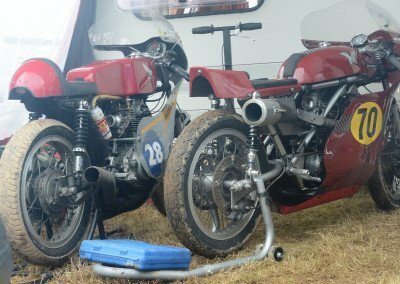 On the Emerald Isle, classics race bikes, often in period loveliness, are in regular use—July 2016 features four racing weekends. 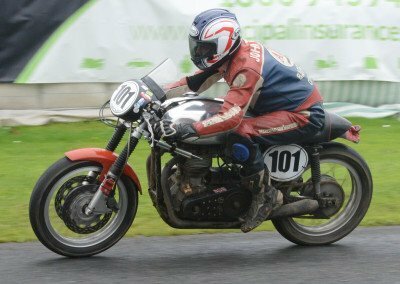 Honda 350 with Drixton frame: When in pristine condition, never a more evocative image graced the race track. A Marshal & a Dr. follow riders on warm-up lap & first laps of practice & race. 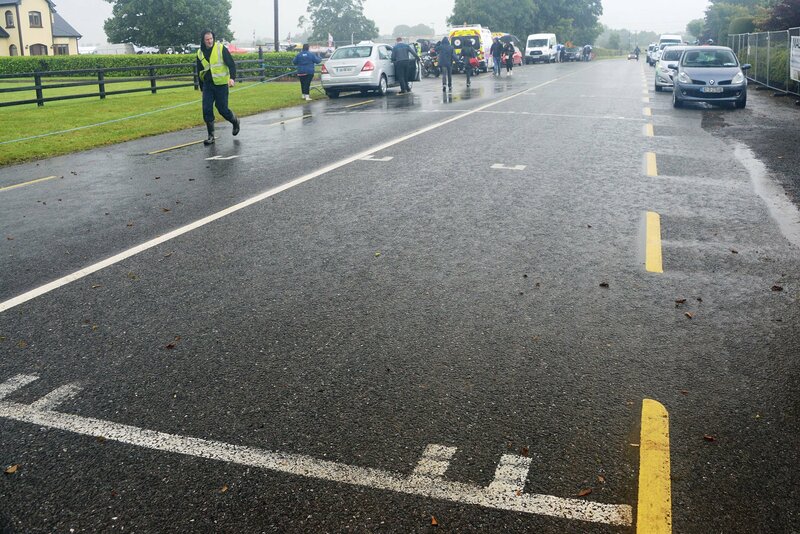 Former checks course. 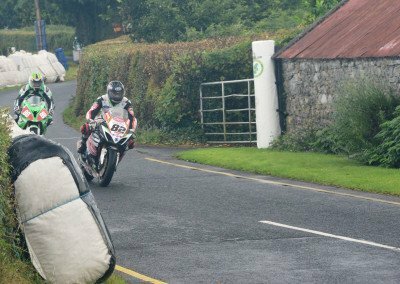 Dr. provides rapid medical response. 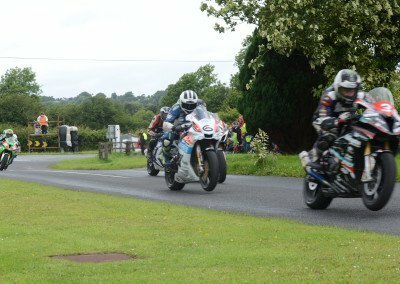 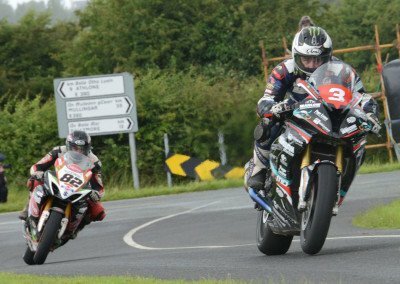 Negotiating his way through traffic, Michael Dunlop held steady pace in early stages of the 7-lap Race 1 then quickened. 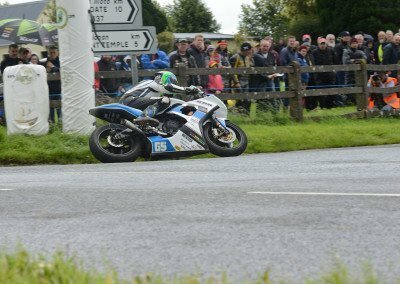 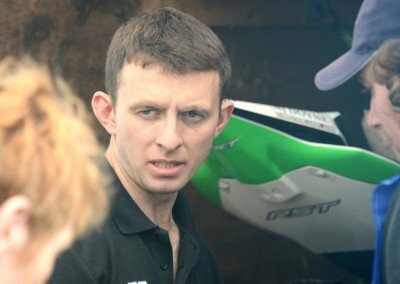 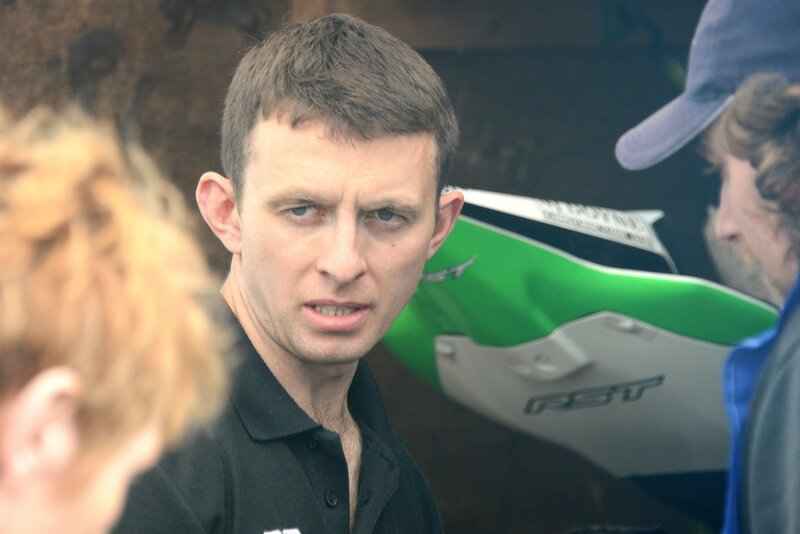 McGee, who earned his maiden victory on the international stage in the Super Twin class at Dundrod last August, finished a fine third. 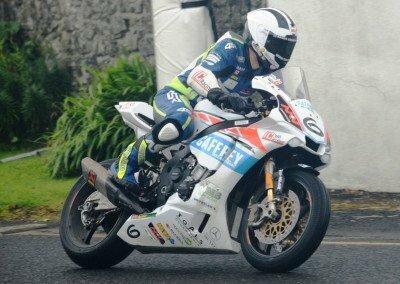 William Dunlop (31), Michael’s brother & nephew of legendary TT racer Joey Dunlop, claims fourth place in Race 1. 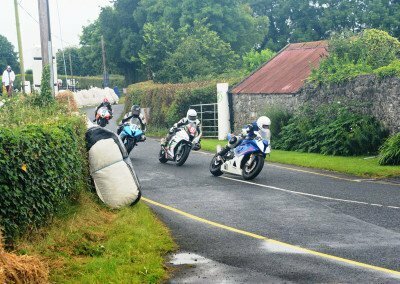 When public roads are closed, time is of the essence & spectators move swiftly to their next viewing position during warm-up laps. 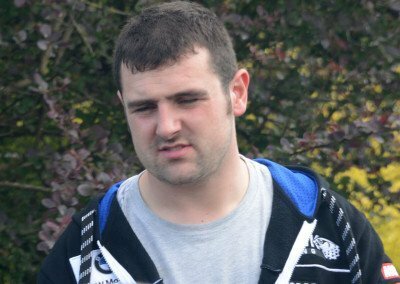 Wm. 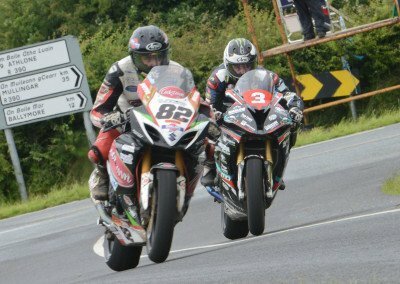 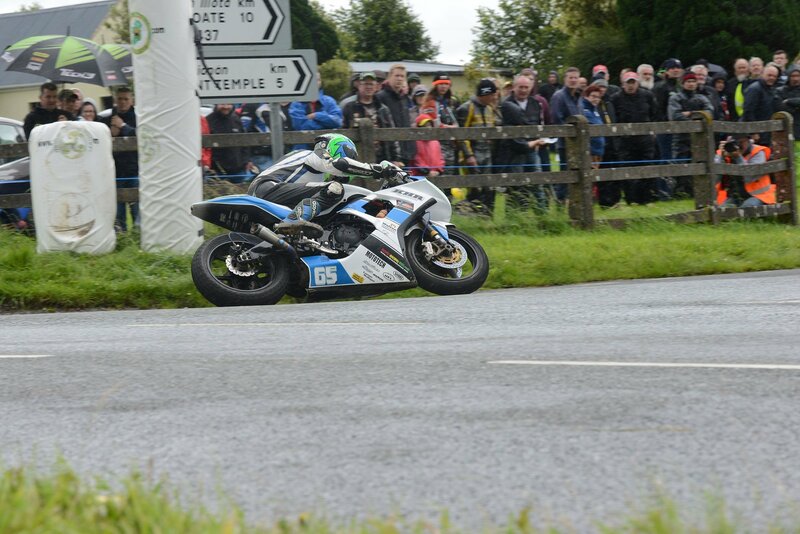 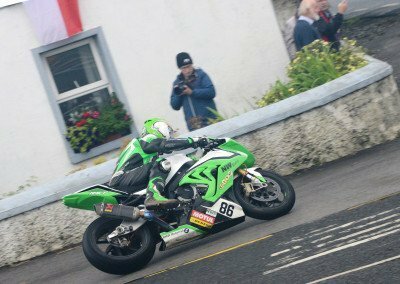 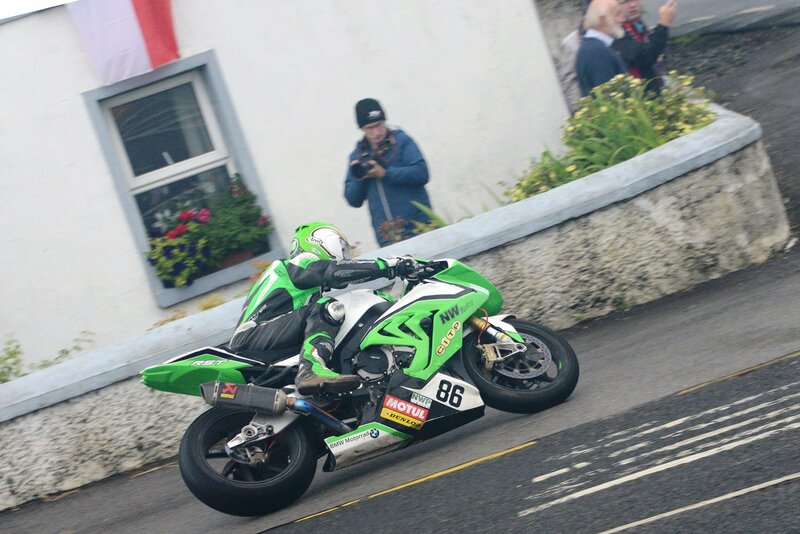 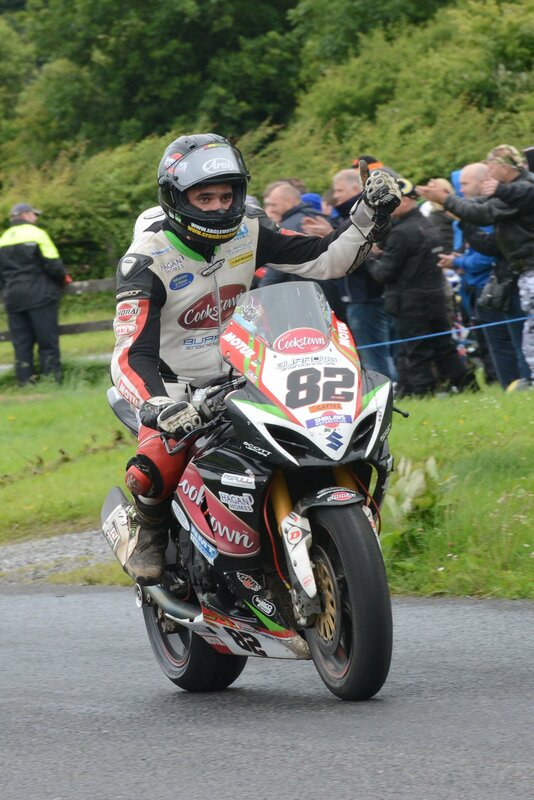 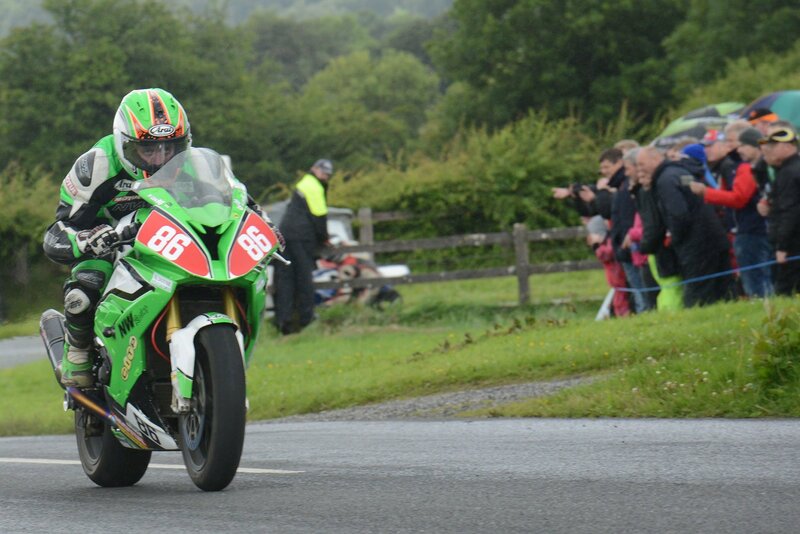 Dunlop takes hole shot in the 7-lap Supersport 600cc event with winner Derek McGee (#86) challenging. 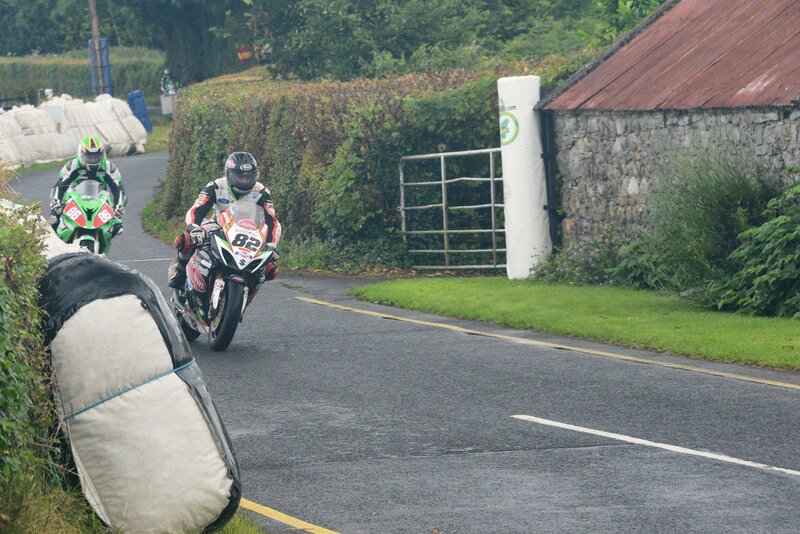 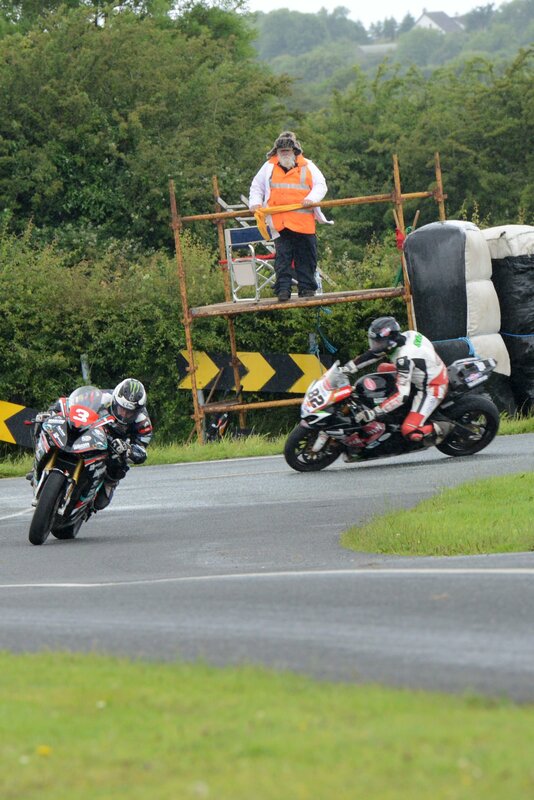 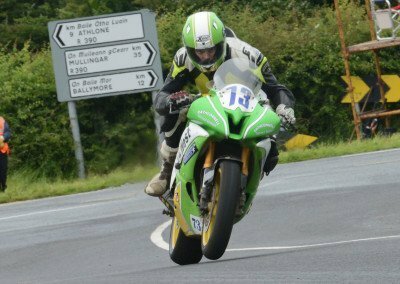 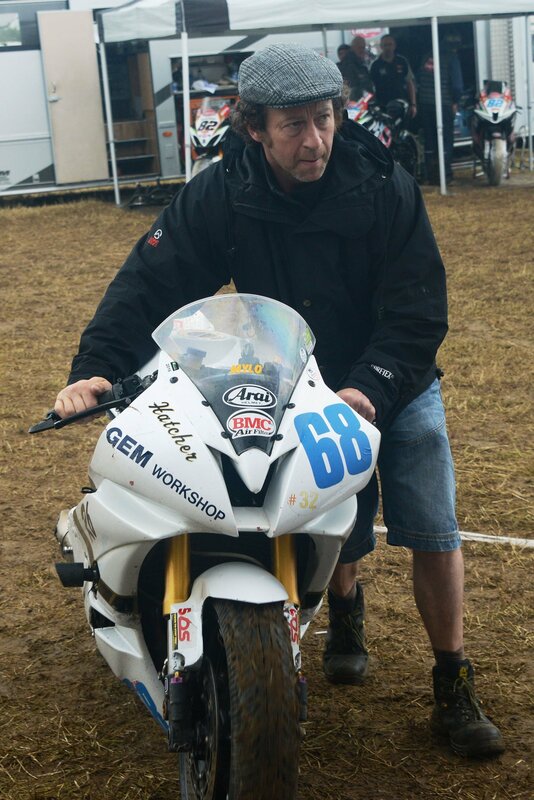 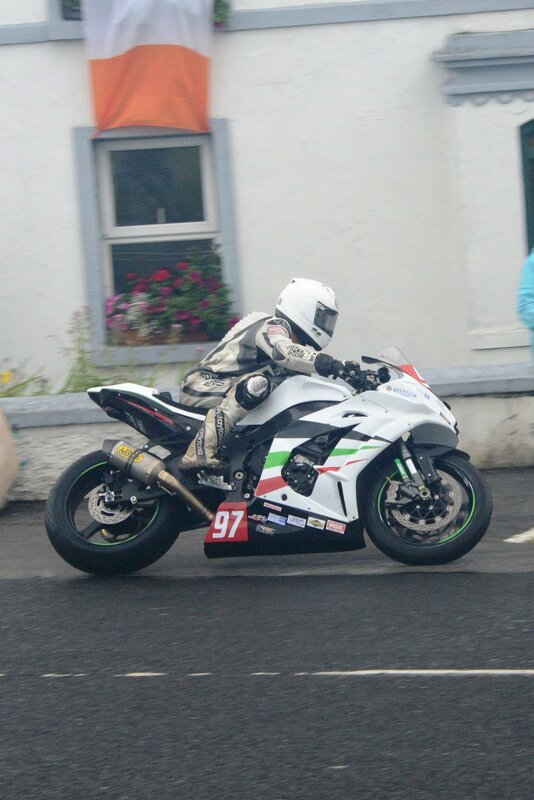 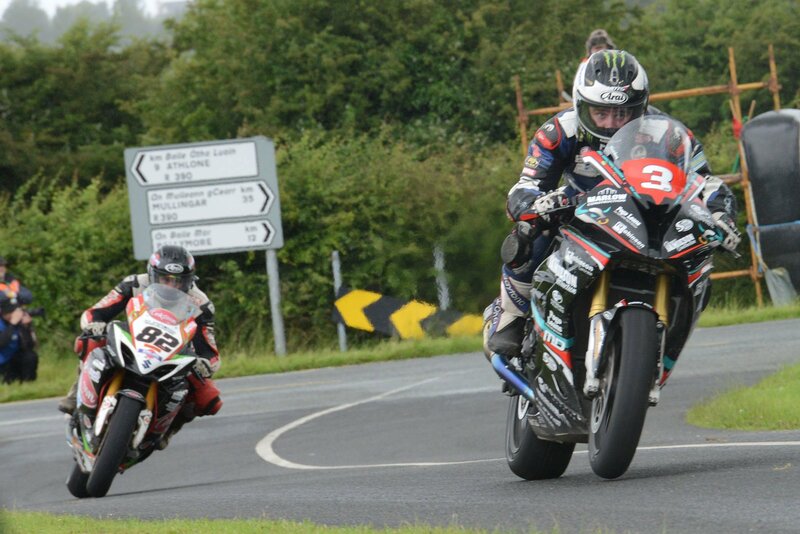 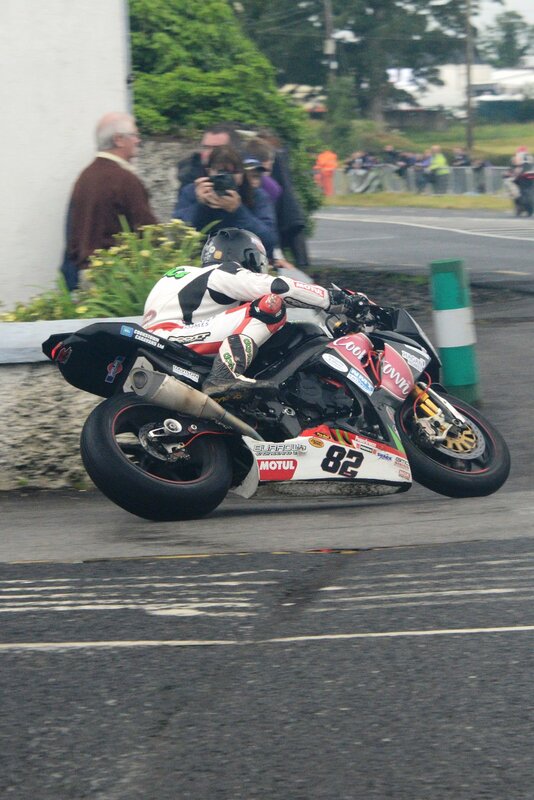 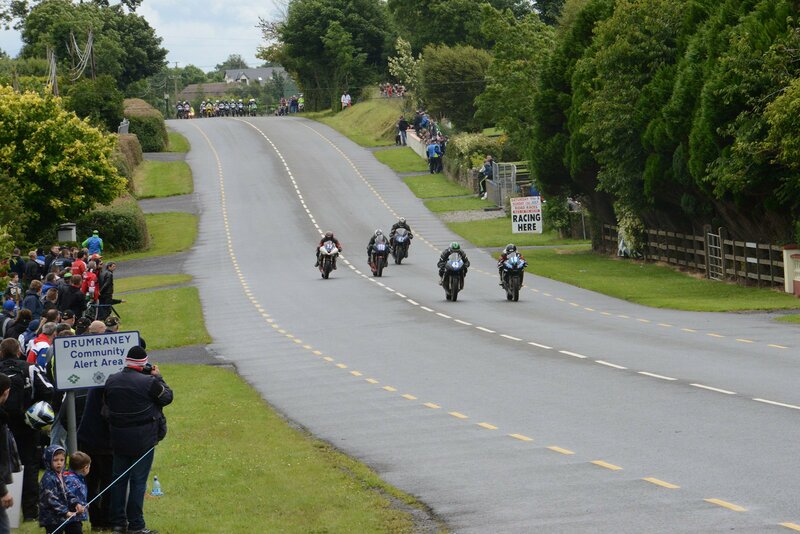 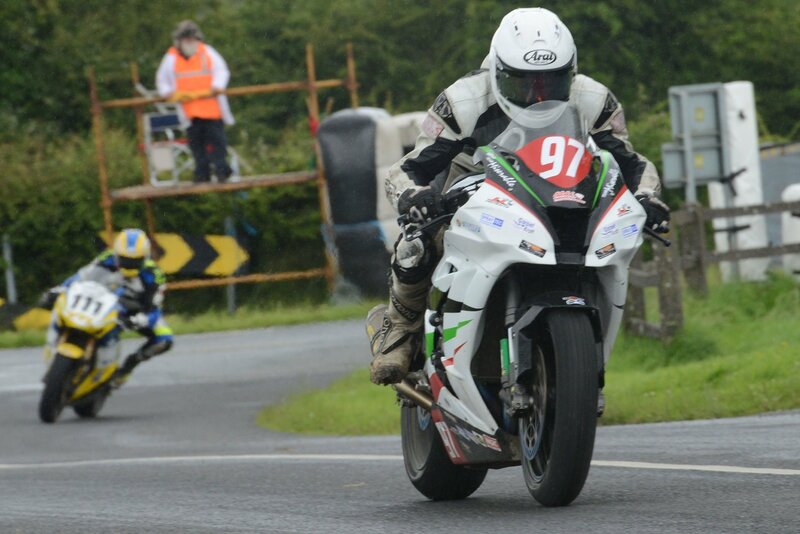 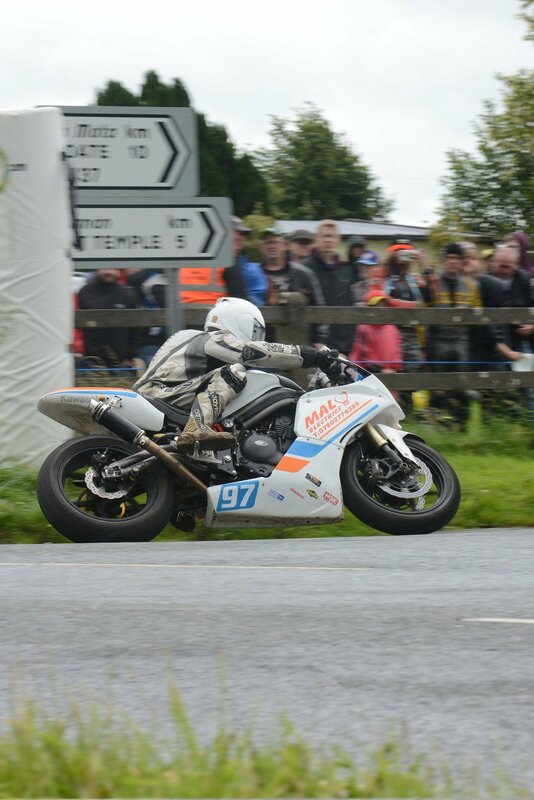 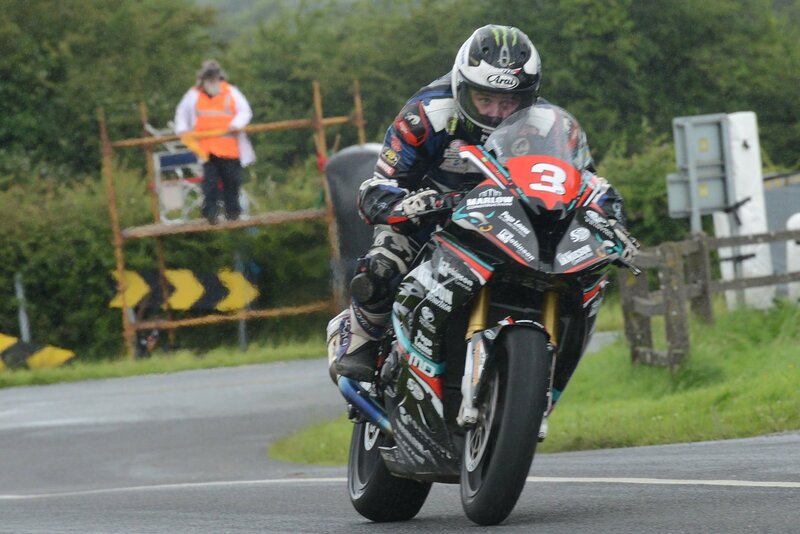 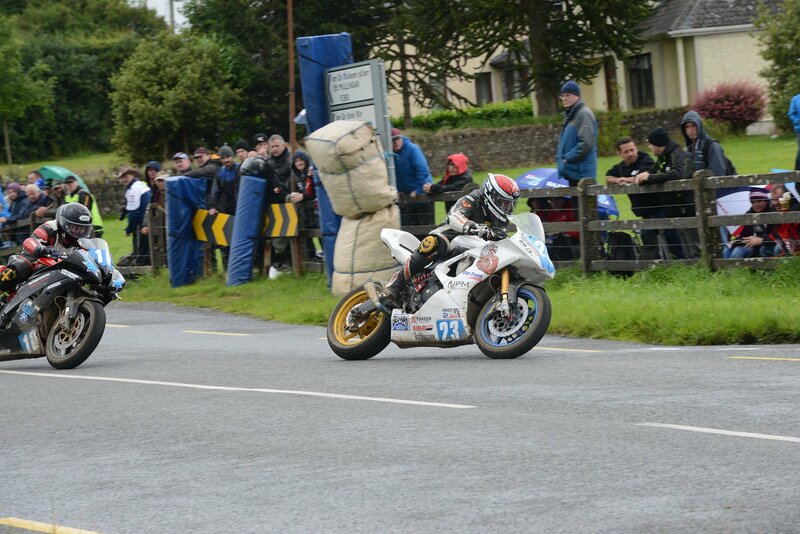 Walderstown downhill terrain promotes speeds of 1 liter Superbikes to around 180mph as they speed toward Corr Cross. 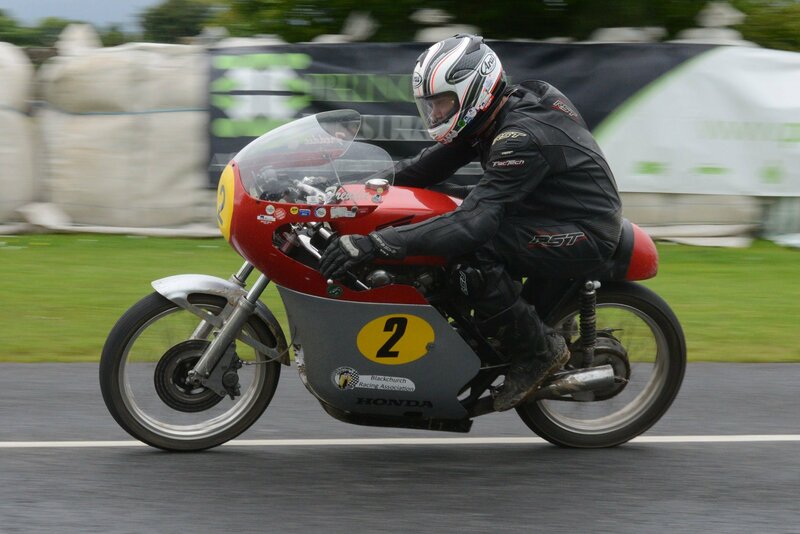 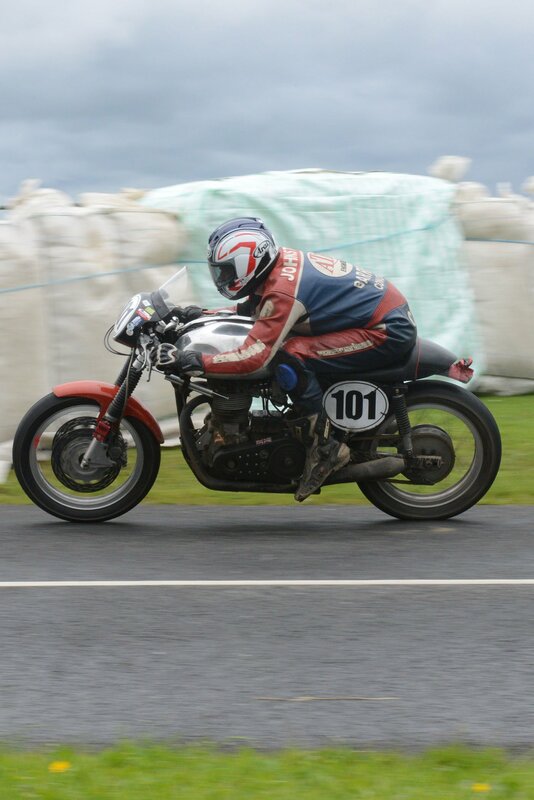 Riding Bob Jackson’s 920cc Norton, Lancastrian Richard Ford won the Classic 500-1000cc with admirable smoothness. 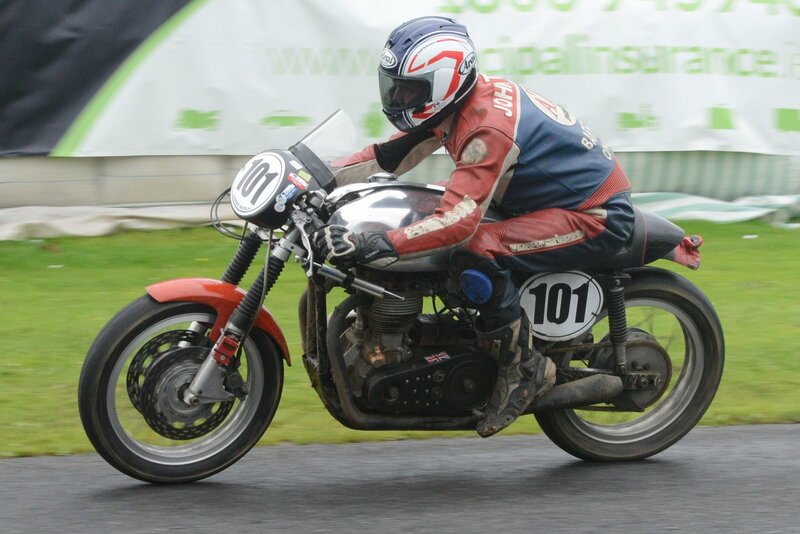 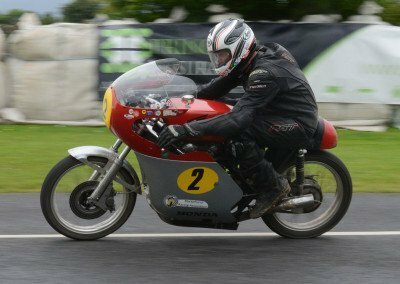 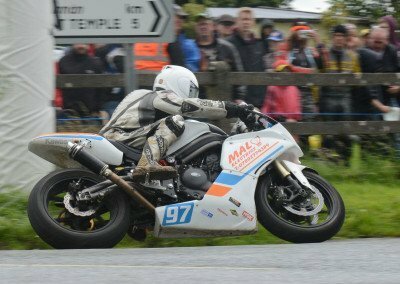 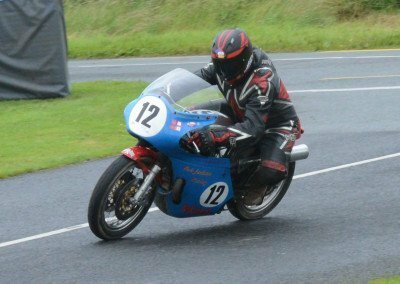 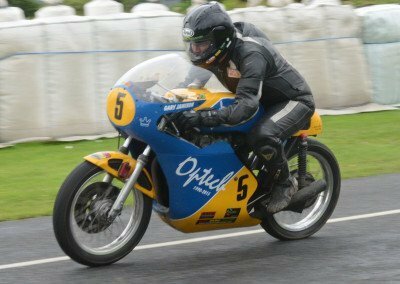 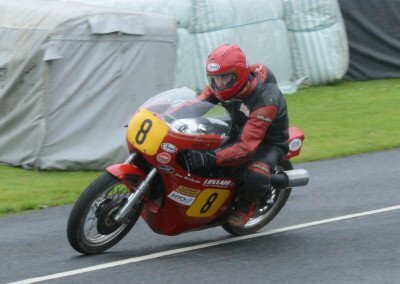 The appeal of the Classic bike never dims: competing on his Norton Weslake 850, talented Robert McCrum secured fourth place. 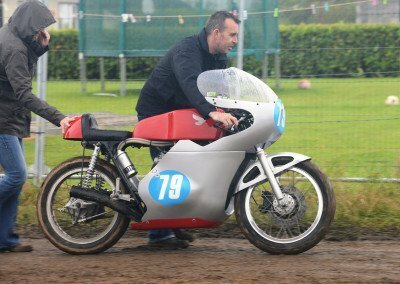 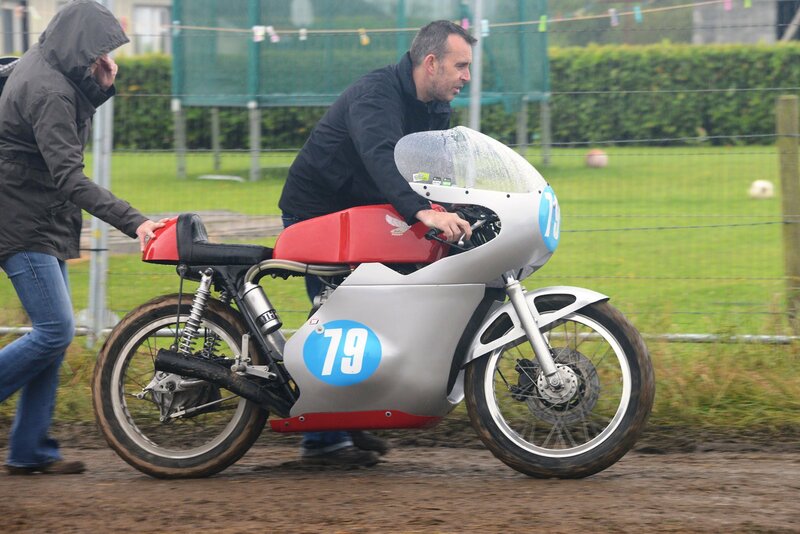 Newtownabbey’s Gary Jamison onboard his beautifully preserved 500cc Honda. 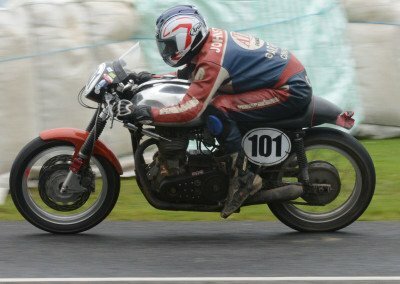 Freddie Stewart & Honda 500: Man & machine indulging in all the joys of a fine Sunday afternoon. 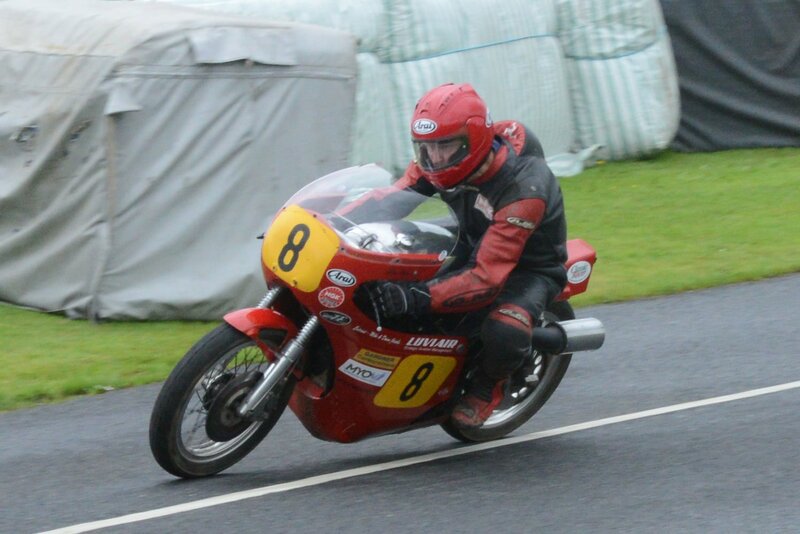 Robert McCrum strikes the signature pose of the long-lamented Jarno Saarinen. 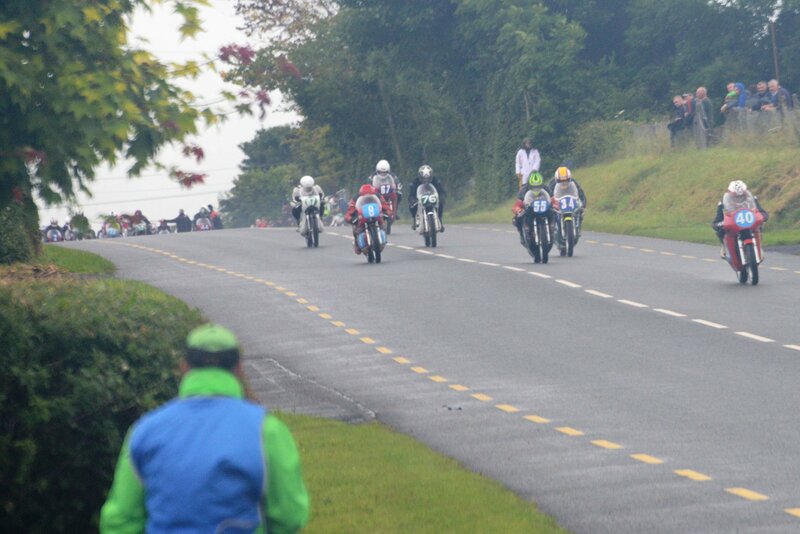 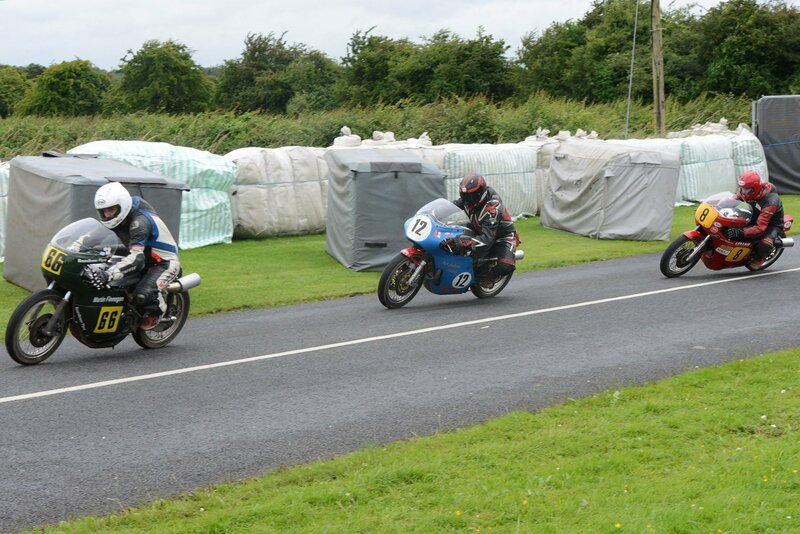 Paul Jordan, 650 Super Twin race winner, leads hard-charging Michael Sweeney. Success eluded the skilled Michael Sweeney, who fell in the Super Twin race, causing the red flags to fly. 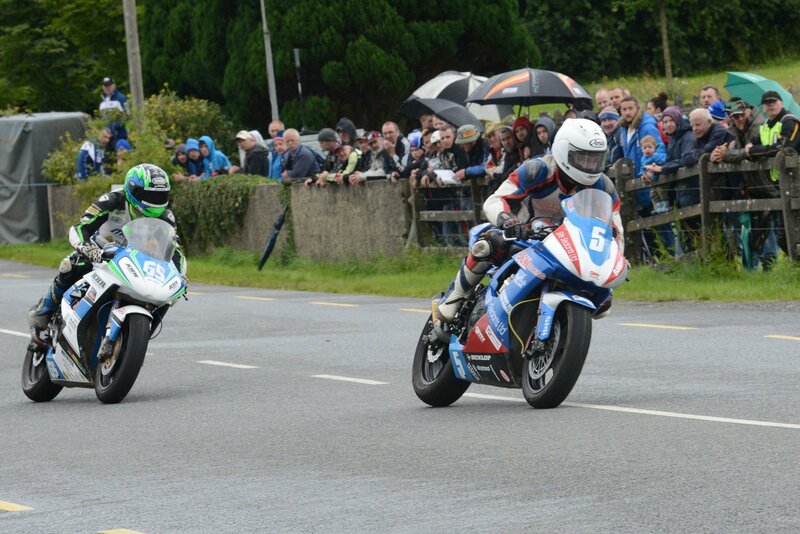 By the second lap of the final, competition was fast and intense – could racing get any better than this? 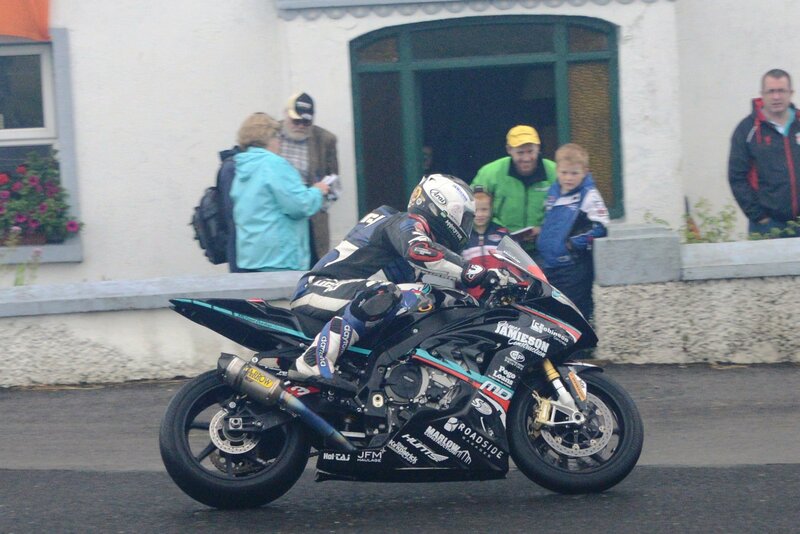 Michael Dunlop (27) has won 13 Isle of Man TT events to date, half as many as his legendary Uncle Joey. 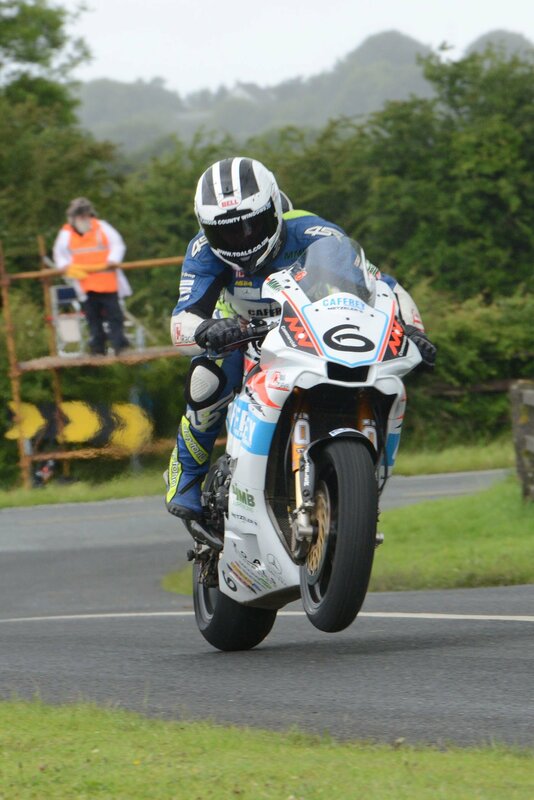 Icing on the cake: Triumphant GSX-R 1000 Suzuki rider Sheilds grabs the 3,000 Euro purse in the Grand Final. 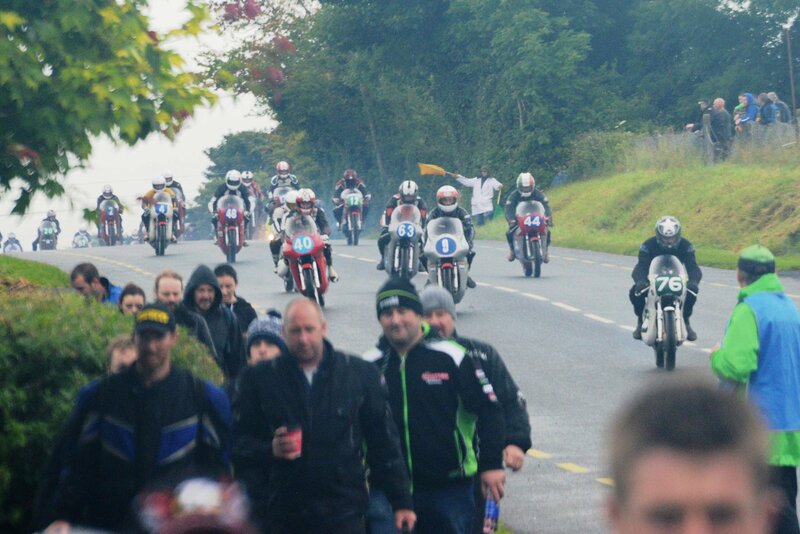 As the race meet draws to a close, crowds spill onto the track; it’s definitely time for a Guinness!